Safe is better than sorry. In Guiu Dental Clinic in Tarragona your first visit and diagnosis don’t have any cost. 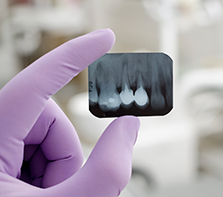 We inform the state of your gums, detect cavities or other oral diseases and offer a personalized diagnosis. In case of any problems, we recommend the best solutions that suit you. 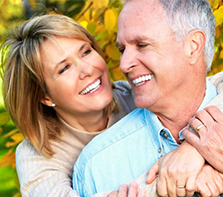 If you have lost one or more teeth, dental implants may be the best solution for your oral health. In Guiu Dental Clinic in Tarragona employ experts in dental implants using high quality materials for implants last as long as possible, thus ensuring your well-being and comfort. Our innovative minimally invasive surgery allows faster recovery without pain or inflammation. Our specialists will advise and offer you all the information you need for your greater tranquility. 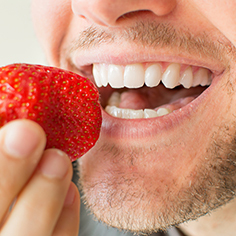 Periodontics is the specialty that treats diseases affecting the gums such as gingivitis or periodontitis. The cause of these diseases is the accumulation of plaque and tartar on the neck of the teeth. Gingivitis occurs in the gum line and just a professional dental cleaning and proper oral hygiene to eliminate it. But if it’s not prevents, gingivitis will turn into periodontitis, a disease that could damage the root of the tooth. In Guiu Dental Clinic in Tarragona we’re specialists in periodontics and apply the most advanced techniques for your wellbeing. Endodontics cures the pathologies that affect internal tissues of the tooth, a nerve infection, with the goal of saving and maintaining the tooth. Some of the causes are advanced caries and tooth breakage, and its symptoms, hypersensitivity to cold or heat or pain when pressure is exerted, although sometimes there aren’t any symptoms and it is detected only after review dental. The use of high-precision instruments and advanced techniques allow us to make optimal treatments and cause the least possible discomfort during and after the surgery. 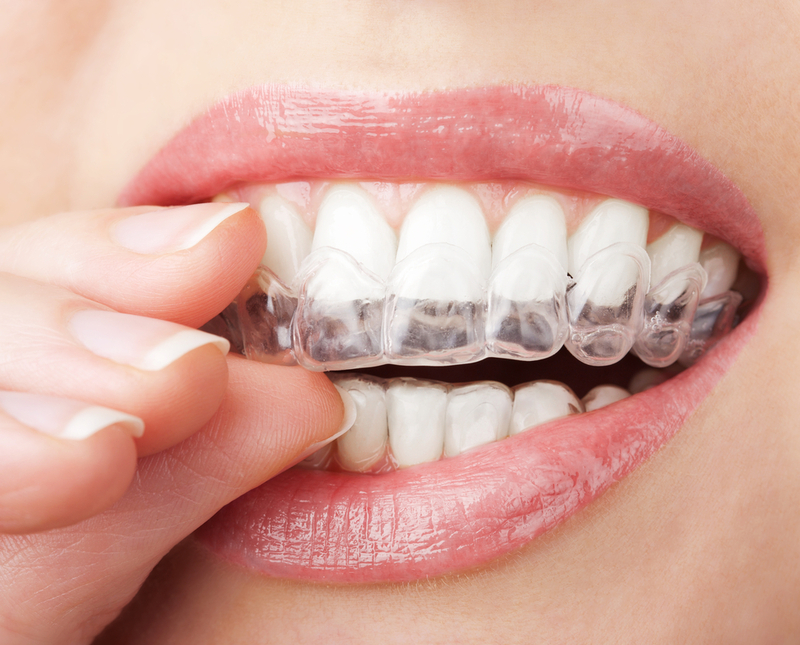 Orthodontics is responsible for studying, prevent and correct the position and shape of the teeth and jaw, generally to improve the functionality of the mouth but also for aesthetic purposes. As experts in orthodontic treatments perform in children, adolescents and adults according to their gravity problem, either by orthodontic fixed, removable or invisible (Invisalign®). Visit Dental Clinic Guiu Tarragona and we will diagnose according to your needs, we will explain the advantages of our systems and advise you what the best solution for your mouth. Maxillofacial surgery is the specialty that deals with the interventions of the mouth, face and neck. To offer you the best treatments we use the latest technology and have one of the best professionals in the country in this area, the doctor Javier Rodríguez Fernández. We take very seriously the welfare of our patients. Whatever your problem and complexity, you can be sure that the Guiu Dental Clinic in Tarragona you’re in the best hands. General dentistry is based on the estudy, prevention and treatment diseases typical of our mouth, like broken teeth, cavities or gum inflammation, among others. 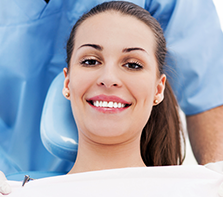 Our dentists have great experience in this field and only use quality materials, respecting your mouth. Visit us and we will first review and diagnosis without cost. We adapt to your schedule and availability. 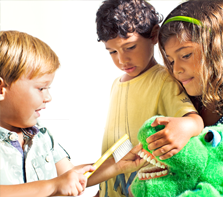 A Dental Clinic Guiu we specialize in dentistry for children, not only in terms of technical knowledge but also psychological: We connect with the children and we gain their confidence, creating a positive experience. In addition, we dedicate special attention to educate and guide parents. If you have any questions, please ask your questions here without obligation. 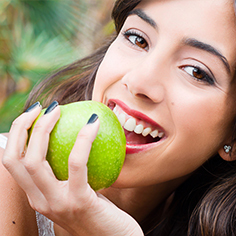 A good prevention is the basis of good oral health. In Guiu Dental Clinic in Tarragona we design smiles. We study your mouth individually and advise the most suitable treatments for your needs: whitening, orthodontics, composite masks, masks and ceramic crowns, implants rehabilitation treatments… Our high-quality technology toe and our personalized service will make you feel at home. You’re comfortable with your mouth and do not hide your smile more! If you have stains on your teeth turn yellow or just want whiter teeth and shiny Dental Clinic Guiu Tarragona is your center. 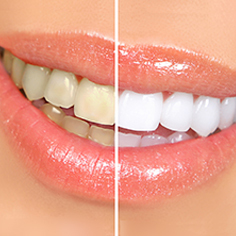 We have a revolutionary technique, the Zomm Whitening, based on LED Lanp and 25% hydrogen peroxide that whitens the tooth surface without affect the tooth structure. We also have other systems such as laser covers dental and other non-invasive techniques, quick and painless. Whatever the case, you can be sure you will notice the difference. Although we daily brushing often inevitable accumulation of plaque and tartar. Therefore, many professionals recommend cleaning dental professional regularly. And we can not agree more. 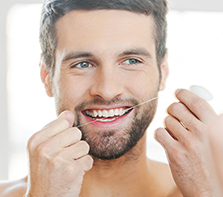 The dental cleaning prevents periodontal disease such as gingivitis or periodontitis and allows us to remove stains on teeth caused for example by tobacco or coffee. Don’t wait, come to Guiu Dental Clinic in Tarragona and get a professional dental cleaning. A new concept in dentistry in Tarragona based on our treatment with patients. We get the best result with the best technique. Dental Clinic Guiu in Tarragona is your local and family dentistry in Tarragona. We have a personalized treatment and close relation. Also we offers a adequate dental diagnosis and explanation, at a competitive price . See the advantages for you and your family.